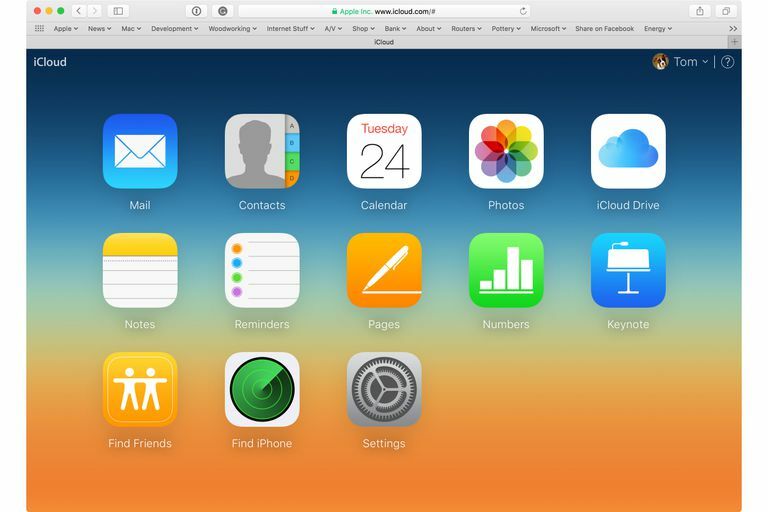 The iCloud service was Apple's answer to cloud-based computing. It offered ways to sync content between Macs and iOS devices, and use cloud-based apps, such as Pages, Numbers, and Keynote, not to mention Mail, Contacts, and Calendar. iCloud has always lacked general-purpose storage. Sure, you can store files related to specific apps, provided the app developer enabled this feature. That's because Apple envisioned iCloud as an app-centric service. Its intention was for iCloud-aware apps to provide access to the storage service of iCloud. This would allow users to easily create, edit, and store, for example, a Pages document in the cloud and then access that Pages document from anywhere with any platform that had Pages available. What Apple didn't seem to realize is that real Mac users have tons of files that weren't created by iCloud-aware apps and that these files could benefit from iCloud storage just as much as files created by iCloud-enabled apps do. If you’re an old hand at using Macs, you may remember iDisk, Apple's original take on storing files in the cloud. iDisk used the Finder to mount a virtual drive on your Mac's desktop; the virtual drive provided access to any files you stored on Apple's cloud service, which went by the name of MobileMe. iCloud Drive isn't a direct copy of iDisk; think of it as being inspired by the older cloud-based storage system rather than duplicating it. iCloud Drive will take up residence in a Finder window's sidebar as yet another Favorites place in your Mac's file system. Selecting the iCloud Drive icon will open the Finder window to the data you have stored in iCloud. Applications that are iCloud-aware will have dedicated folders on the drive, so expect to see folders for Keynotes, Pages, and Numbers. Apple will probably also add a few general-purpose folders for Photos, Music, and Videos. Unlike the older iCloud service, you'll be free to create your own folders and move files around; in essence, you'll be able to use iCloud Drive as just another place to store your data. Apple offers multiple storage tiers with iCloud Drive, starting with the free 5 GB level. This hasn't changed from previous iCloud storage limits, but once you move beyond the free 5 GB, you'll pay monthly or annual storage fees. Comparing the cost of the new iCloud Drive service with three of Apple's primary competitors in drive storage reveals a decent cost saving with iCloud Drive, assuming one of the defined package levels meets your needs. Apple has said that a 1 TB option for iCloud Drive will be available, but so far, it hasn't revealed the price. * Requires Office 360 subscription. Many cloud storage providers offer service on a monthly basis. In some cases, it's slightly cheaper in the long run to pay an annual fee than a monthly one, but not always. Be sure to check the cloud storage service provider's website for complete details about cost and service. Some of the other vendors offer slightly more free storage space, but so far, in the tiers Apple is competing in, it offers the lowest cost. Apple's iCloud Drive brings back features and services that many Mac users expected from the day iCloud replaced MobileMe. This version of the iCloud Drive offers both the basic storage of the old iDisk system and the clever and easy-to-use app-centric file handling system of the current iCloud service.